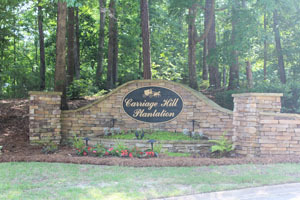 Carriage Hill Lake community is one of Lexington’s popular neighborhoods in an all-natural, wooded subdivision, in northwest Lexington County. This unique neighborhood offers the perfect balance of natural beauty and privacy that every home owner seeks. Carriage Hill Lake boasts heavily wooded, half and three quarter acre home sites, an “Active Lifestyle” community and lakeside walking paths. Carriage Hill Plantation is a part of Lexington School District One. The children of Carriage Hill attend Lake Murray Elementary (k-5), Pleasant Hill Middle (Grades 6-8), and Lexington High (Grades 9-12). In addition to walking paths, large lots, and naturalized landscaping, Carriage Hill Lake offers lake-side lots and homes for sale. There are approximately 131 homes and 50 lots conveniently located on North Lake Drive (SC-6), between downtown Lexington and Lake Murray Dam. Homes in the subdivision begin at approximately 2,000 square feet. Lexington, SC has a rich historical background and a promising future since it is known as one of the fastest growing areas in the midlands. Lexington offers everything you could want in a top tier suburb such as premiere shopping, Lake Murray, and fresh farmed produce. 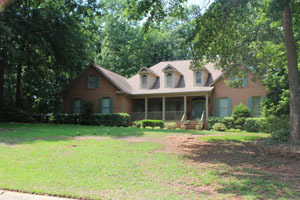 Lastly, Lexington is perfectly located just a short drive from downtown Columbia and the regional airport. Also, it’s close enough to make a day trip to the beach in Charleston or the mountains in the Upstate!